Whistleblower Reward Laws offer large financial rewards to whistleblowers that expose significant student loan fraud against the Federal Government. Student loan fraud can include lender fraud, student recruitment fraud, and other false certifications made to the government to obtain student loan money or grant money. These cases can include cases against “for profit” schools that apply for billions of dollars in student loan money. For more information on Student Loan Fraud Whistleblower Reward Lawsuits, please feel free to contact Student Loan Fraud Whistleblower Reward Lawyer, Jason S. Coomer via e-mail message or use our Submission Form. With the rapidly growth of student loan debt has come “for profit” schools and student loan providers that are fraudulently exploiting the student loan system and students. By using high pressure and illegal recruiting tactics on targeted populations including military veterans and impoverished neighborhoods, some “for profit” schools are systematically committing fraud and exploiting students. These illegal tactics can be the basis of large whistleblower reward actions. Additionally, student loan lenders that falsely classify and certify loans can also be committing student loan fraud. Federal Whistleblower Rewards are part of the Federal False Claims Act and allow whistleblowers that are aware of and have specialized knowledge of significant fraud against the government including student loan fraud to report the fraud and receive from 15% to 30% of the money recovered by the government. WASHINGTON – Four student aid lenders have paid the United States a total of $57.75 million to resolve allegations that they improperly inflated their entitlement to certain interest rate subsidies from the U.S. Department of Education in violation of the False Claims Act, the Justice Department announced today. The settlements resolve allegations brought in a whistleblower action filed in the Eastern District of Virginia under the False Claims Act, which permits private citizens to bring lawsuits alleging violations of the Act on behalf of the United States and to share in any recovery. The whistleblower suit was filed by Dr. Jon Oberg, a former employee of the Department of Education, who alleged that several lenders participating in the federal student financial aid programs created billing systems that allowed them to receive improperly inflated interest rate subsidies from the Department of Education. The United States did not intervene in this action, which was litigated by the whistleblower, but it provided assistance at many stages of the case, including during the settlement process. Nelnet Inc. and Nelnet Educational Loan Funding Inc. have paid $47 million to the United States. Southwest Student Services Corp. has paid $5 million. Brazos Higher Education Authority and Brazos Higher Education Service Corp. have paid $4 million. Panhandle Plains Higher Education Authority and Panhandle Plains Management and Servicing Corp. have paid $1.75 million. Dr. Oberg will receive a total of $16.65 million from these settlements. This case was handled on behalf of the United States by the Civil Division of the Department of Justice and the U.S. Attorney’s Office for the Eastern District of Virginia, with the assistance of the Department of Education Office of General Counsel. WASHINGTON – The United States has intervened and filed a complaint in a whistleblower suit pending under the False Claims Act against Education Management Corp. (EDMC) and several affiliated entities, the Justice Department announced today. In its complaint, the government alleges that EDMC falsely certified compliance with provisions of federal law that prohibit a university from paying incentive-based compensation to its admissions recruiters that is tied to the number of students they recruit. 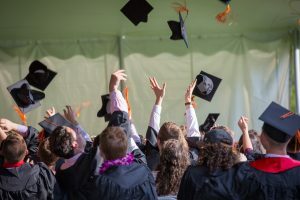 Congress enacted the incentive compensation prohibition to curtail the practice of paying bonuses and commissions to recruiters, which resulted in the enrollment of unqualified students, high student loan default rates and the waste of program funds. The False Claims Act allows for private citizens to file whistleblower suits to provide the government information about wrongdoing. The government then has a period of time to investigate and decide whether to take over the prosecution of the allegations or decline to pursue them and allow the whistleblower to proceed. If the United States proves that a defendant has knowingly submitted false claims, it is entitled to recover three times the damage that resulted and a penalty of $5,500 to $11,000 per claim. When the government intervenes, the whistleblower can collect a share of 15 to 25 percent of the United States’ recovery. The suit was originally filed by Lynntoya Washington, a former EDMC admissions recruiter, who later filed an amended complaint, jointly with Michael T. Mahoney, a former director of training for EDMC’s Online Higher Education Division. The states of California, Florida, Illinois and Indiana have also intervened as plaintiffs. The suit is United States ex rel. Washington et al. v. Education Management Corp. et al., Civil No. 07-461 (W.D. Pa.). This matter was investigated by the Commercial Litigation Branch of the Justice Department’s Civil Division; the U.S. Attorney’s Office for the Western District of Pennsylvania; and the Department of Education, Office of Inspector General. If you are aware of a large government contractor that is defrauding the United States Government out of millions or billions of dollars, contact Qui Tam Whistleblower Reward Lawyer and Bounty Action Whistleblower Reward Lawyer, Jason Coomer via email message or use our Submission Form. As a Texas Whistle Blower Lawyer, he works with other powerful qui tam lawyers that handle large Government Fraud cases. He works with San Antonio Whistleblower Lawyers, Dallas Whistleblower Lawyers, Houston Government Fraud Lawyers, and other Texas Whistleblower Lawyers as well as with Whistleblower Lawyers throughout the nation to blow the whistle on fraud that hurts the United States and taxpayers.